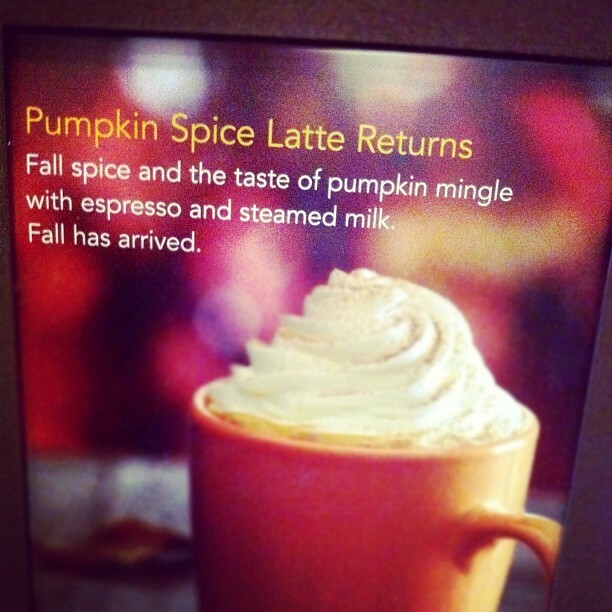 Starbucks announced last week they are using REAL pumpkin in their Pumpkin Spice Lattes. Well, if you ask any of my farmers, they’ll tell you their pumpkins have always been real. Aside from that, starting them this week seems to be rushing the season, but I decided I could work with it. I’ve tried this particular latte and I’m not a fan, but understand I tend to be a purist when it comes to coffee. Besides, artificial flavorings in anything, almost never escape my notice and we know artificial caramel coloring is a carcinogen. Artificial anything always seems to impart that vague chemical taste that sits in your mouth, looking for a quick escape, as though it knows it doesn’t belong. Offhand, I’m thinking you should have always picked another beverage, just with that information. I’m not really convinced pumpkin even belongs in coffee. I mean, what is that? Starbucks will tell you I am in the minority even questioning this. Well, we’ll see what their fans say when they find the change in this season’s offering. There is something about these lattes we can all like. The smell reminds you of crisp, fall mornings with pies and breads baking, filling the air with the aroma of spices that warm your heart and spread a smile across your face. It reminds you of sweaters pulled close in the morning and shed in the afternoon. Your mind wanders to apple picking at your favorite orchard and yes, pumpkin hunting at your favorite farm or roadside stand. You may have the thought that summertime, biting, stinging bugs will leave and give you a respite from swatting and scratching. Some people may joyfully consider it being the end of shaving season. (Just let that sink in a moment.) You’re one slurp and inhale away from recalling football and soccer games, which as the season wears on, brings us to snuggling with perhaps a hot cup of java and a steaming bowl of chili. We think of falling, colorful leaves moving us into the season of falling, white snowflakes. All of that from one latte. I know, it’s an experience! Besides reminding us of fall and all it brings, I have another opinion on why these lattes are popular and prompt almost any coffee spot to sell this signature offering. It reminds us that home is never far away. Maybe, besides home being where you hang your hat, it’s where you hang your mug. When you add ginger, nutmeg and cinnamon to your pumpkin baked good or beverage, the aroma makes it easy to gather around and pretend you’re back home where pumpkin pies may be coming fresh out of the oven. Pumpkin bread is being slathered with butter and speaking of butter, how about pumpkin butter on your favorite rolls? These or similar thoughts are often associated with home and being able to step back, even for a moment, brings a certain measure of comfort. As I’ve often said, food and coffee are unifiers. It’s easy to see how a pumpkin spice latte can bring friends closer together or create an opportunity to make a new friend. So how about this fall, as real pumpkins dot the countryside at local farm stands or your favorite grocery store, you gather some folks together and make your own real pumpkin fun. Pick up some fresh made pumpkin bread or host a baking night and create your own pumpkin sensation. Here’s my “Salted Caramel Latte” recipe that goes wonderfully with almost any baked good. Brew coffee. Warm milk. Add all of the ingredients into a blender until emulsified, about 20 seconds. Pour into your favorite mugs, top with whipped cream and drizzle with caramel. Drink immediately. If you really are committed to adding pumpkin, no worries! Add to the blender mixture, 2 Tbsp. pumpkin puree.